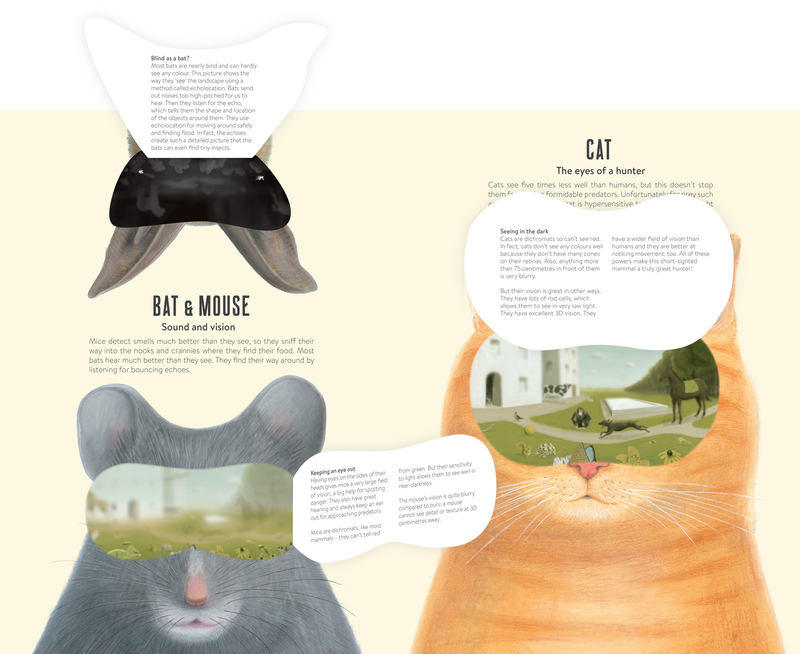 From Guillaume Duprat, winner of the Bologna Ragazzi Non-fiction Illustrator Award, comes EYE SPY, a unique book that uses lift-the-flap interactivity to allow children to see the world through the eyes of their favorite animals – every page is a surprise! Ever wondered what your cat is watching out of the window? Or how having eyes on the sides of its head changes the world for a horse? And what would life be like if we couldn’t see the whole rainbow or—even stranger—could see in four or five colors instead of only three? 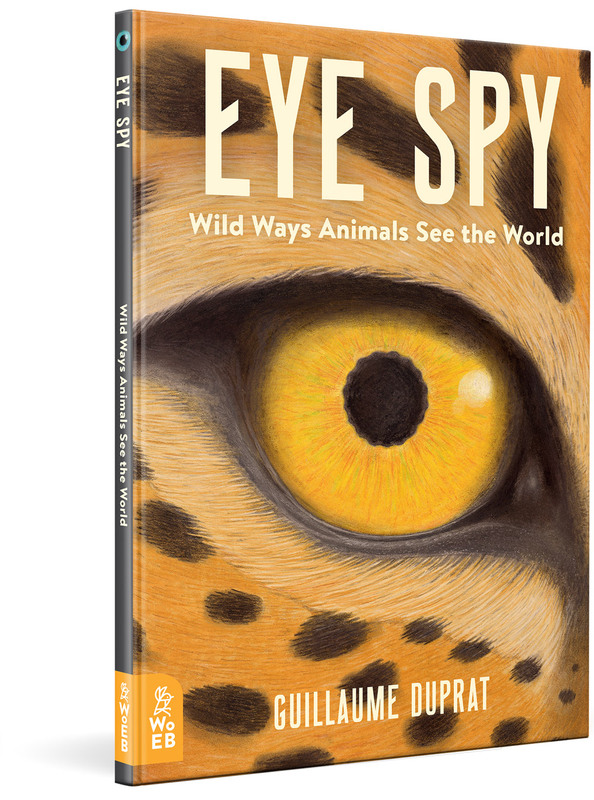 EYE SPY takes children on a whirlwind tour of how eyes work and lets them lift-the-flaps to find out how animals as different as dogs, owls, and chameleons see the same scene. 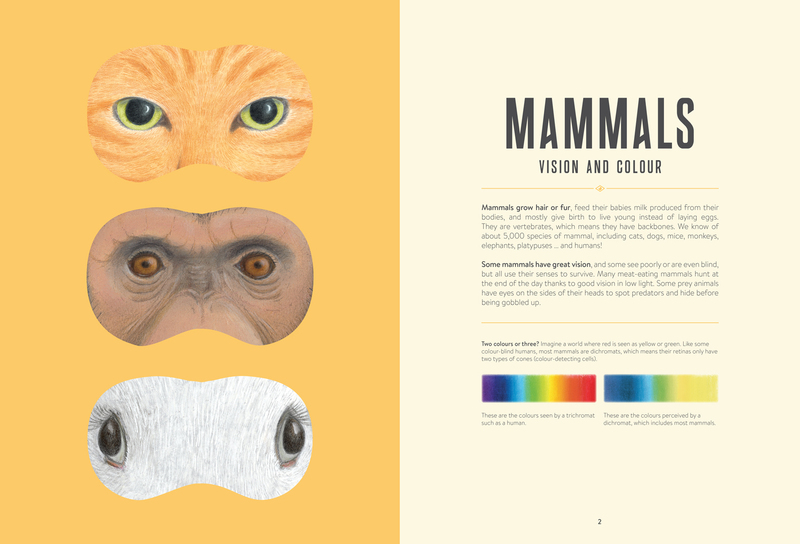 The perfect non-fiction companion to best seller Brendan Wenzel’s They All Saw a Cat, it’s a truly eye-opening experience guaranteed to fuel and satisfy the curiosity of any animal-lover.